Augustus, his bare head left. Minted in Antioch (Antakya, Turkey) after 23 B.C. Sutherland, C.H.V., "Roman Imperial Coinage", Volume 1, revised edition (RIC), p84, nr.530. 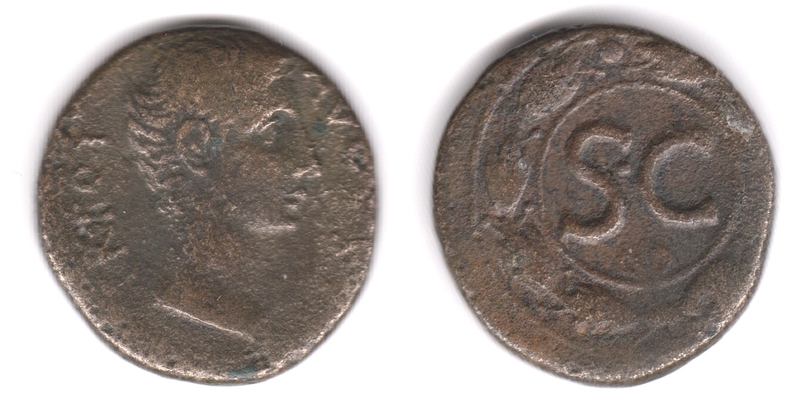 Sear, D.R., "Greek Imperial Coins and their Values" (Sear GIC), p10, nr.108, var (AE22/23) and obv legend AVGVS TR POT.